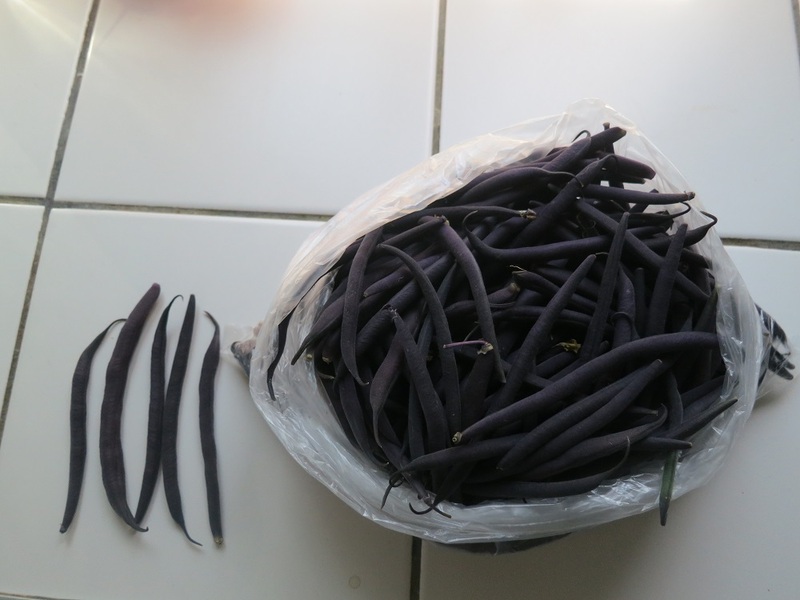 The switch from Spring to Summer was abrupt – one day it was too cold to put out the tomatoes and the next the greenhouses had an internal temperature of 42C (107F) and the spring vegetables are ready to be harvest all at once – even when you are not ready for them to be harvested. The lettuce has been delicious, we have had a few varieties to enjoy, and about the time I thought we were going to have Romaine lettuce for a Caesar Salad, it bolted! It was quickly joined by the Roxy lettuce, and the butter lettuce. All three were in the greenhouses, of course, Oh well, the chickens have really enjoyed them. The lettuce outside is holding on a bit longer but will shortly be ready to be cleared and summer vegetables planted. The beet harvest is starting (Jon is very happy about this), the mustard is starting to go to seed (Megan is hoping for home-made mustard), the Kale has gone to the chickens and who knows what the Broccoli, Cauliflower, and Cabbages are up to – they’ve neither bolted nor headed up. 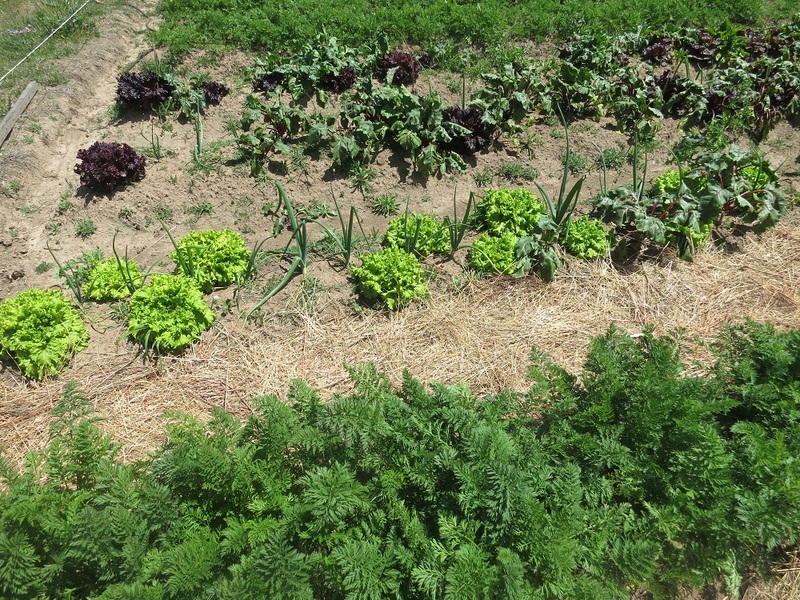 What we’ve been harvesting isn’t quite the same as the garden beds – the greenhouses – which are now over-hot – provided summer vegetables in spring. 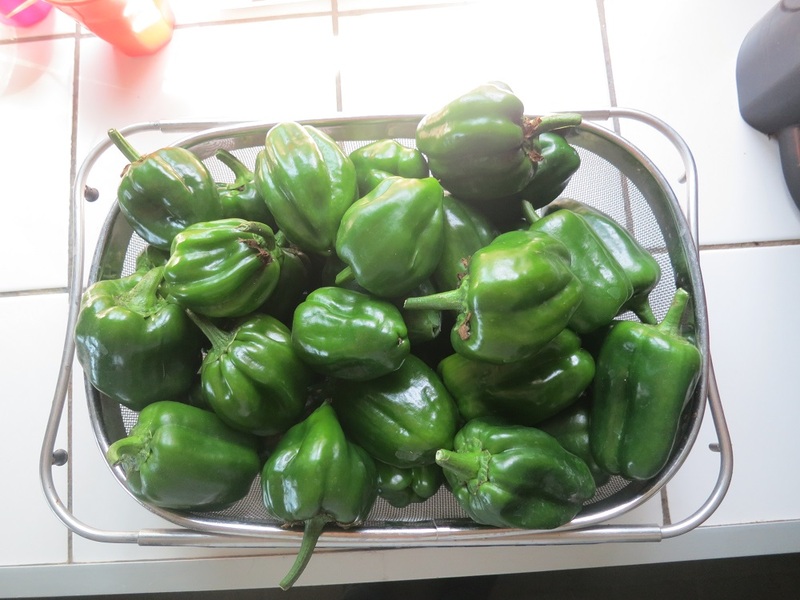 Burran Sweet peppers – but the peppers are happy with the heat and are setting lots of flowers and fruit. With regular water they are very content with the saunas that are the greenhouses. 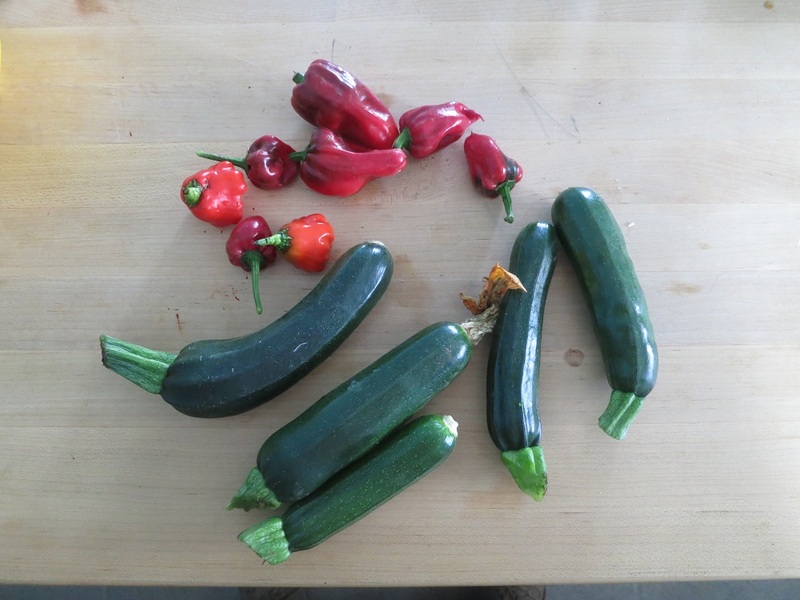 Zucchini and more peppers. Did you know that a normal, small, bushy zucchini plant goes a bit wild in a greenhouse? The greenhouse plants are nearly three times taller than their normal outside counterparts. Megan didn’t quite plan for that and is cursing them at the moment. But the zucchini sure is tasty. Cucumbers, planted in spring, but really, until the greenhouse heats up, they don’t even consider flowering, let along fruiting. 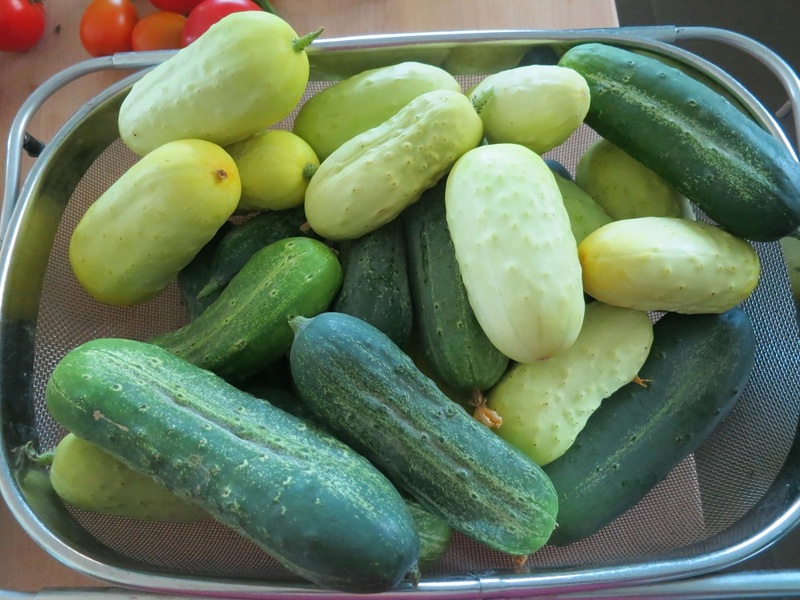 They’ve decided it’s hot enough now and have started to yield lots of tasty fruit for pickling. Megan doesn’t even have seed for slicing cucumbers so all of our cucumbers are pickles. Megan is busy planting, weeding, and harvesting. We all are enjoying the veggies of her hard work. The irrigation system for the greenhouses has been a lifesaver. The main garden irrigation is nearly complete – otherwise there will be no summer vegetables.